A good foundation is the guarantor of a good future; this is not just true for hum character but also for man made objects. Anything that is based on goodness reflects goodness in the long run, e.g. just like a child who has received proper guidance, mental strength and education in the starting of his life can be sure of a successful life ahead a building which has been constructed on a sound base will also be able to stand through a number of future weathering and calamities. Hence, the importance of a good foundation is applicable in all situations. Importance of a sound foundation – As mentioned above, a solid foundation of a building guarantees a durable future of the structure. But why is it necessary to ensure its structural integrity and durability? The need for a building’s foundation and consequently the entire structure is necessitated by the amount of property and life associated with it. Most of the massive structures are either used as corporate houses or residential buildings or even schools, any unprecedented and sudden damage to these would land a serious blow to life and property. We have all heard of untimely collapse of buildings which not only destroyed the homes of many, but also took the lives of a number of people. Thus, even before a massive structure is set up, steps should be taken to gauge the strength of the ground it is going to be set up on. Depending on the findings of such steps, foundation strengthening measures should be taken. These measures are known as piling. What is piling? 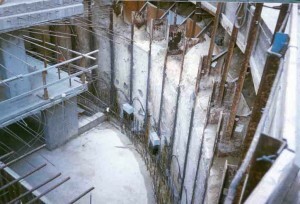 – Piling is a technique utilized to artificially strengthen the base or foundations of buildings, especially those with massive vertical loads like multi-storeyed buildings. The ground on which a structure is to be set up, its strength is assessed by competent authorities. Depending on the strength of the base along with the scope and capacity of the project at hand, a decision is taken on how to best fortify the foundation. Piling is mostly used on unstable bases like marshy lands or sedimentary basins; here its function is to consolidate the loosely bonded structure of the soil or grains. The entire function is carried out by the combined supervision and assistance of structural engineers, architects and building contractors. The most popularly used materials for piling are wood, steel or concrete, sometimes they are paired together like in the case of certain hammered piling -after a hollow steel pipe is hammered below the surface of the ground, it is filled with mesh and concrete . The piles used are either cast on site like in the case of certain bored piles or are precast sets, which are merely set into place. Thus, there are various methods of piling each different on the basis of technique and material used as well as the purpose they serve. Driven piling - Here a precast pile is hammered into the ground causing soil displacement and unwanted noise pollution. But it has a more durable effect than any. Drilling or bored piling – Here the pile is casted on site and often using hydraulic pressure or other sources which eliminates the imposing loud noise created by the above type of piling. 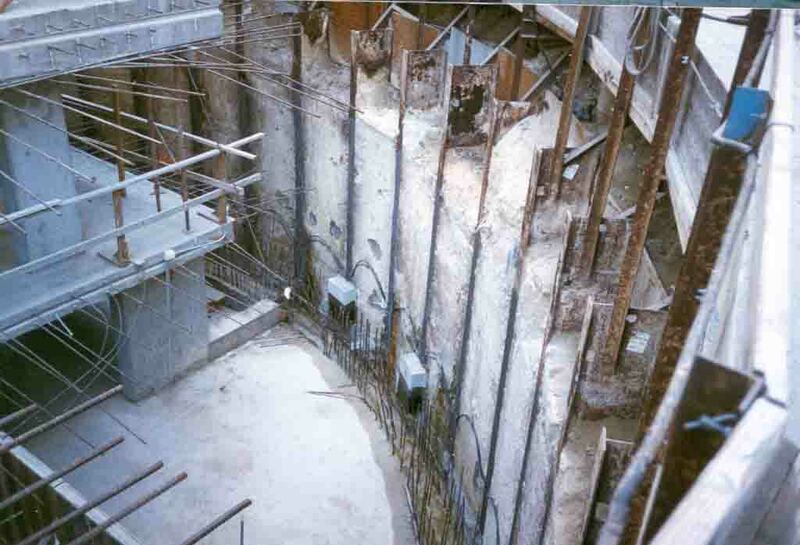 There are various reputable companies offering piling and underpinning services, among them DGS UK Ltd is one of the most efficient companies in UK. Author’s Bio – James Pattrick writes on construction related topics. He also writes reviews for companies like DGS UK Ltd, Exeter piling services etc.